Nobody would associate LED fixture whose main purpose is for lighting with the cleaning and disinfecting application. With a breakthrough nano technology material, called Antiviral TTA, the unimaginable becomes a reality. Antiviral TTA is made of titanium oxide at the nano level such that it can break down the bacteria cell thus prohibits its reproduction. It is non-chemical, non-toxic, odor-less, and long lasting, thus requiring no maintenance. When applying Antiviral TTA to the surface of the LED fixture, the fixture becomes an antiviral equipment. 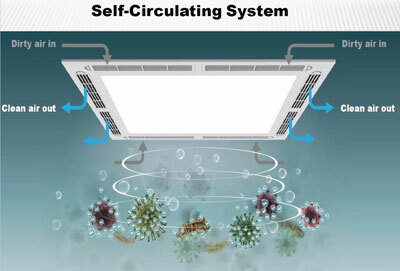 An LED fixture with active forced air circulation through Antiviral TTA filter can clean the bacteria and virus in the air effectively. Aleddra LED Lighting will debut this game-changer for indoor dis-infecting lighting application at the upcoming NAESCO 2017 conference. For more information, please contact [email protected].